Now this is what I call a great story. Adapted from the Neil Gaiman graphic novel, this is a love story told in a parallel universe, where stars become beautiful women, witches eat hearts to look young, and shop boys become kings. 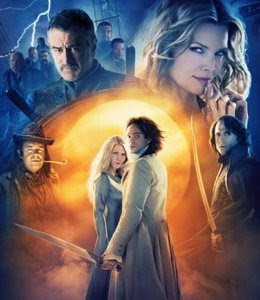 Stunning visuals, a great storyline, plus great performances from Michelle Pfeiffer as an aging hag and Bobby D as a queer pirate will make this a classic to watch. Plus the soothing voice of Ian McKellen as the narrator will lull you into bedtime story-state, for greater effect. An interesting question to ask would be: Would it have made a big difference if they let Peter O'Toole narrate and let Ian McKellen play the king? Would one consider this as a sequel to the first Elizabeth film back in 1998? You could, if all you consider is the fact that Cate Blanchett still plays the title role, and that it basically picks up from where the last movie ended. But honestly, I wouldn't want to consider this a sequel, in the same way that I didn't consider "Simba's Pride" to be a sequel of "The Lion King". The film falls short, despite the brilliant performances by Cate Blanchett and the grizzly Clive Owen (Geoffrey Rush once again gives subtle top-notch acting). I would attribute this to the lack of outdoor shots with several hundred extras---these are the types of shots that draw you in, especially if the costumes are accurate. In this case, the costumes are indeed accurate, but there are less people wearing them. 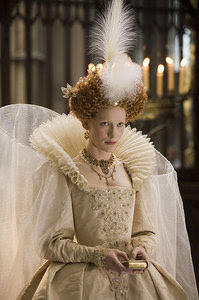 What makes Elizabethan England believable is not the nobility but the regular people. We may have long shots of the Thames and of the Spanish armada, but these are computer-generated images. All the live actors are confined to indoor shots. It was only after watching this film that I've come to realize that it's the extras that make an epic. This book will not have the same effect on everyone. This is only for those who really love to read about World War II. 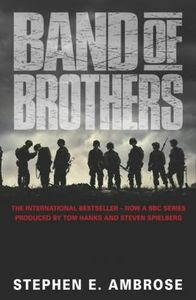 "Band of Brothers" is an exacting work, a fairly accurate piece of military history. It chronicles the journey of Easy Company, from their jump training in Toccoa in 1942, to their actual jump on D-Day, and all the way to Hitler's Eagle's Nest. Ambrose writes with the serious tone of historical text, but it is the narrative that will hold you spellbound, as he chronicles Easy Company's European campaign in great detail. Ambrose also makes sure that each of the men are fleshed out, giving us a virtual tour of the time and setting of each and every battle Easy fought in. Again, not everyone will love this book. It's just that I'm a sucker for World War II, especially the European front. All the English majors, say it with me: That's not how the story goes! If it were any other writer, the script would probably be criticized by English Department chairpersons as a desacration to one of the first epics of English literature. But then again, this is Neil Gaiman folks, and Neil Gaiman can get away with anything. The retelling is brilliant, the direction (by Robert Zemeckis) is top-notch, but the medium somehow just doesn't cut it. I still prefer live action anyday. But then again, that's just me. Things to watch out for: Brilliant performances by Sir Hannibal Lecter himself (who apparently accepted the movie without any prior knowledge of the original Beowulf epic, and having only read his own lines in the script); John Malkovich, delivering the brand of sarcasm that only he can deliver; the ubiquitous Brendan Gleeson, who seems to pull off any role given to him; the computer-generated Mrs. Brad Pitt, who looks beautiful without the fine lines; and the great Ray Winstone, who looks more like Sean Bean here. Frankly, very few books have managed to tickle my funny bone, and this book is a hilarious read. I finished it in one day. Once again, there will be the pressure of comparing the book with the movie, but I made sure that I took the movie out of my head before I even opened the first page. And without bias, I can understand why this book was made into a movie in the first place. 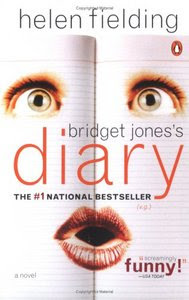 One will sympathize with Bridget Jones; whether you are male or female, gay or lesbian, it doesn't matter. Helen Fielding's humor transcends gender. And after reading the book, one shouldn't be scared of becoming an unmarried thirty-something---life can really be fun for singles, if you just know how to take it all in stride. 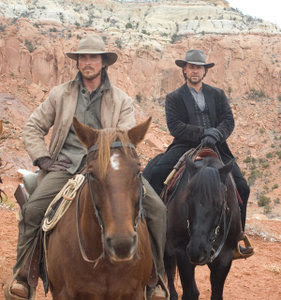 This movie has all the elements of a great western. The plot is relatively simple (based on the short story by Elmore Leonard), but it's the production that takes the breath away. The setting is fairly accurate (yeah, as if I was alive back then), and the gunfights are top-notch, and the action sequences make for one hell of a cowboy shoot-em-up. Christian Bale is mesmerizing as usual (sorry ladies, you'll get a scruffy-looking Bale here, not a clean-shaven one), while Russel Crowe delivers one great performance as the despicable Ben Wade. Personally, I'm not used to watching Russel play the antagonist, although he was brilliant in Virtuosity. I regard him more as good-guy material, despite his press status as "Jerkus Maximus." Watch out also for Luke Wilson's cameo as─what else─a cowboy. 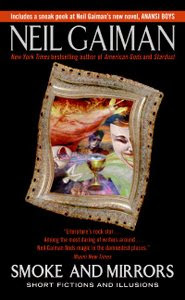 One of Mr. Gaiman's earlier works, because fans will notice that his writing style is slightly different from what it is now. This is of course a positive comment, not intended to belittle Gaiman's style. I have nothing but admiration for Gaiman's writing style, which only a true fan will dissect enough to actually try and duplicate. And like in a music album, where the first track is the track that hooks you into listening to the rest, so does the first story of Smoke and Mirrors draw you into the wonderful mind of Mr. Neil Gaiman. Notable also is what one could call the seed (or probably one of the early drafts, we'll never know) of Gaiman's co-written screenplay for the 2007 film Beowulf. Plus, in the spirit of the holidays, I immensely enjoyed his 100-word story on Santa Claus. Neil Gaiman retains his status as the rock star of the literary world. 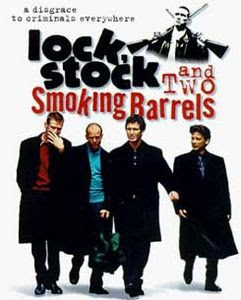 Released in 1998, this is Guy Ritchie's first feature film, and definitely not the last in his style. This is a shady tale about the London criminal life, where guns and gambling go together like fish and chips. Different gangs screwing each other up is a favorite theme of Guy Ritchie. The film also features Mr. Madonna's trademark camera moves, the multiple overlapping storylines, and his endearing, heavily-accented and foul-mouthed characters. Aside from being the film that skyrocketed the careers of Jason "The Transporter" Statham and Vinnie "From-the-Stadium-to-the-Screen" Jones, it also features music god Sting in a not-so-well-acted cameo. Watch it if even just for a dose of non-Hollywood English-speaking cinema. 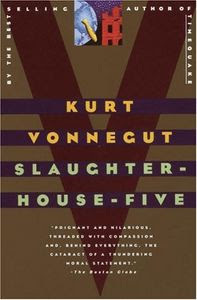 Slaughterhouse-five, or in German, "Schlachthof-fünf", is the place where Billy Pilgrim was taken as a prisoner-of-war in the World War II European campaign, and where he witnesses the bombing of Dresden. The book is a great read, considered a classic in modern American literature, and is also regarded as one of Vonnegut's most popular. This probably stems from the autobiographical nature of the work, since by reading the details, one would NOT doubt that this was written by a veteran. Vonnegut also experiments with the non-linear approach to storytelling, as he employs the time-travel element to make the narrative jump backwards or forwards. It actually works to achieve the stream of consciousness effect, sans the confusion. It would also be interesting to note how Vonnegut incorporates characters from his other novels, creating one solid universe of memory (one would actually think of them as having really existed). Watch out for Howard W. Campbell, Jr., the American Nazi from the "Mother Night" novel. Let us all pay tribute to one of the greatest writers of American fiction, who passed away last April 11, 2007. So it goes. A solid fright fest all throughout. This is a cinematic experience that simulates insanity,or its chemical equivalent: a really nasty drug trip. We are all aware of the haunted room theme, and it does not disappoint the Stephen King fans. The plot is simple: Room 1408 is haunted. 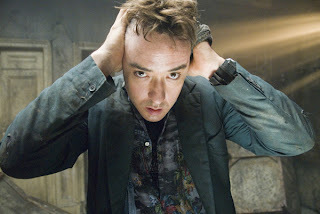 John Cusack doesn't believe a word of it, and wants to stay there. Hotel manager Samuel L. Jackson (my main man) dissuades him, yet stubborn Cusack goes in anyway. Then he finds out that he's wrong, that it really is haunted. And get ready to be scared, like wetting-your-pants type scared. The American cover of The Deathly Hallows. No, I can't come up with a funny caption. A fitting end to a great series. The body count may be too much to handle for children, but then again, this is no longer a children's book. This has come a long, long way from The Sorcerer's Stone. Some would call it young adult fiction, but who cares? It's a great story, a great saga, and I would even dare to put it up along the likes of Homer's Iliad and Odyssey (go ahead literature critics, hit me! ), with none of that "Harry-Potter-is-Jesus-Christ" theme that some people keep insisting. Rowling does an excellent job of tying loose ends together, incorporating what you thought to be minor characters into the plot, thereby giving closure to─again─one GREAT saga. This is magic, witchcraft and wizardry at its best. It is worth the long wait, and no, you wouldn't be asking for an eighth book. Seven is enough. It is after all the most powerful magical number. One hilarious laugh-out-loud movie. Some may find it a waste of perfectly good money (with a running time of approximately 90 minutes), but the die-hard fans wouldn't mind at all.How can one describe the movie? Well, take the T.V. show, and make it three times longer. There you have it. 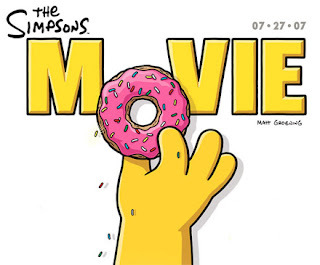 A Simpsons movie. None of the humor from the T.V. series is lost. Great job, writers. (Of course I am assuming that they retained the writing staff from the T.V. series.) They included almost everyone from the series, but we didn't hear from old-time favorites Principal Skinner, Rainier Wolfcastle (MacBain), and Troy McLure (Rest In Peace, Phil Hartman).The film also lacked the cameos that made the series so popular. You would think that it would also have three times as many cameo appearances as a regular episode, but there are only two noteworthy cameos here: Tom Hanks, and Green Day (by cameos I mean of course those celebrities who played themselves).Just watch the movie, and stay in your seat until the credits stop rolling.